Endorsed by many celebrities—and high profile magazines alike—recent studies of the Atkins Program as a way of losing weight and reducing cholesterol levels have given rise to support from the medical community. The basic premise of the Atkins program is identifying which foods are “higher carbs” (potatoes, rice cakes…) and limiting their intake—control your carb intake, control your weight! 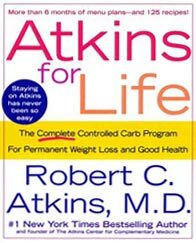 Atkins for Life is the guide for those familiar to the plan and new recruits. Questionnaires get you started at the right level, and plenty of charts and personal success stories (photos too) help guide you through the program. 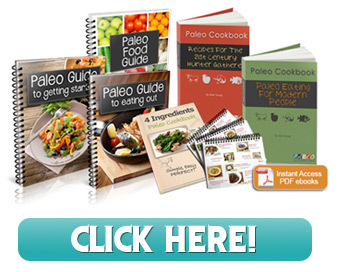 The second half of Atkins for Life is the cookbook portion, with meal plans (about 6 months worth), menus, and 125 recipes. The recipes offer a variety of easy-to-prepare and appetizing dishes—including some nice indulgences such as chocolate soufflé. This is a diet for protein lovers (i.e. meat, seafood, poultry), with minimal choices for vegetarians. Many praise the Atkins Program as the easy and most indulging (plenty of butter allowed on your fillet!) way to lose weight and keep it off. IMHO, just eat decent homemade food and get off the couch once in a while… Cheers, Michelle.